Losing your files and other data can be very frustrating. Here is a list of best data recovery software that can help you recover deleted files from hard drive, USB pen drive, SSD cards, media players, CD/DVD, camera, and other devices due to various data loss situations like deleted by accident, file formatted by mistake, drive corrupted by the latest attempt at quadruple-booting, plugged in the power to a non-hot swappable drive, ran the USB key through the wash, etc. These data recovery programs do work more often than not and they can get your important data back. Losts of data recovery apps are there, some of which are paid software and have free version or trial. And a few of apps are free. Here we editors list these software from the data recovery market according to their popularity and quality. Professional data recovery software that can recover lost, deleted or formatted files, including photos, videos, music, documents, etc. from hard disk and other removable media, such as external hard drive, USB drive, flash drive, floppy drive, memory card, CF card, etc. Free Any Data Recovery owns nearly 1,000,000 users all over the world. It can recover various files from hard drive and removable drives like USB sticks, memory cards, mobile phones and iPods. It can recover files from formatted, Corrupted, or Resized Partition, Hard Drive, USB Flash Drive, Camera, Mobile Phone, MP3 & MP4 Player, etc. 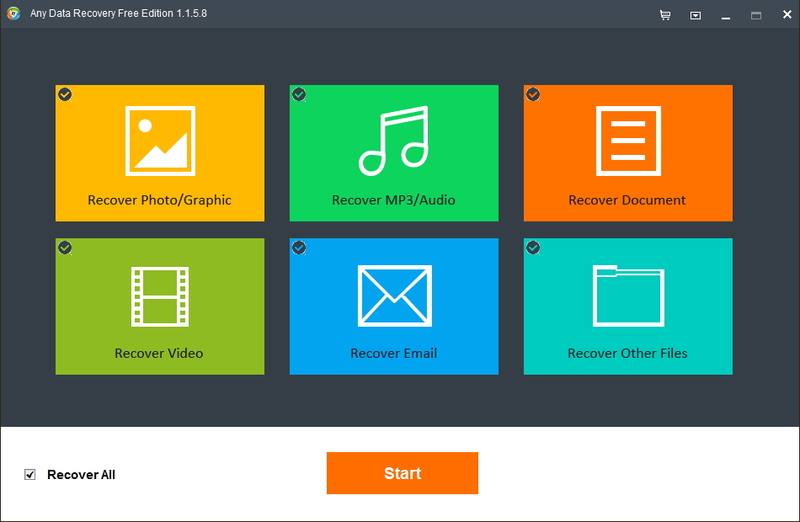 Recover various files like documents, archives, photos, videos, music, etc. from Hard Drive, Partition, USB Flash Drive, SD Memory Card, Digital Camera, Mobile Phone, MP3 & MP4 player and other storage devices. It is a safe and effective solution for recovering deleted, formatted photos, videos, audios and documents due to deleting, formatting, software crash, hard drive damage, virus attacking, partition loss or other unknown reasons. With it, you can retrieve any data from computer's hard drive, USB flash drive, camera, mobile phone, MP3&MP4 player. 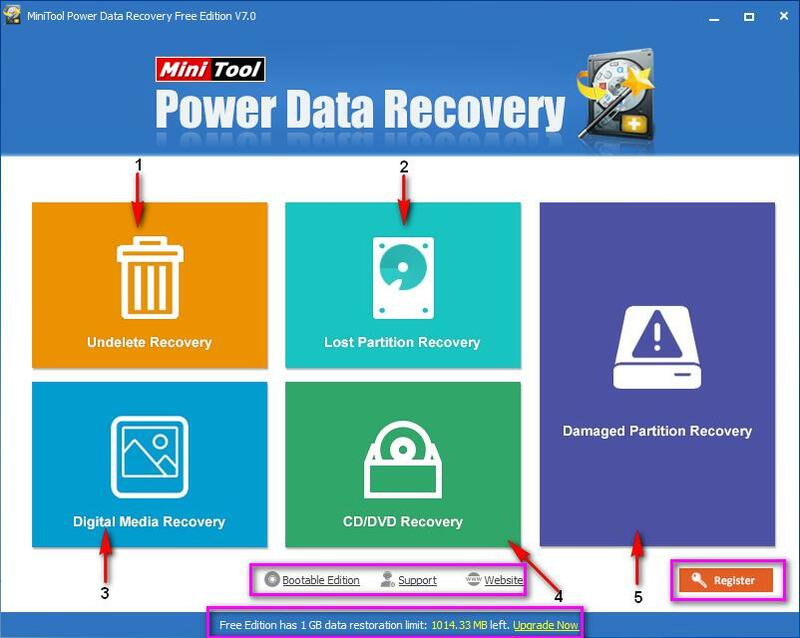 Recover deleted data in a few clicks. An easy to use and powerful data recovery software. 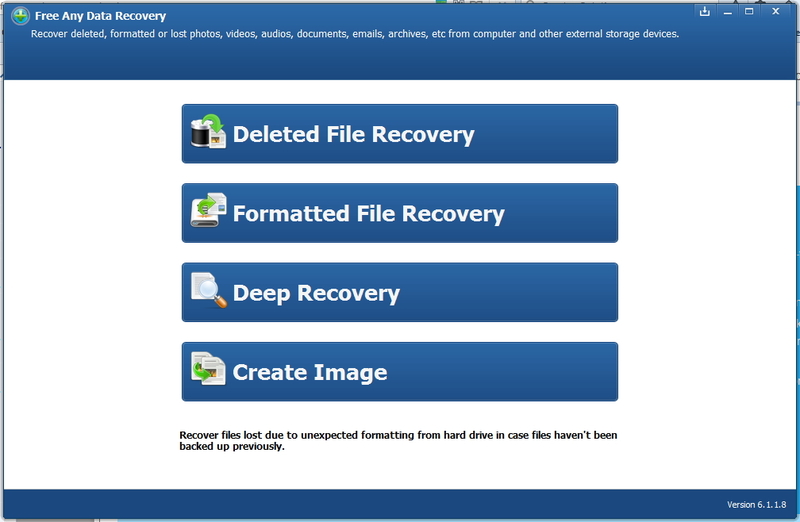 Recover deleted, formatted or lost data from PC, laptop or removable device easily and quickly. It is a tiny and easy to use software for data recovery. 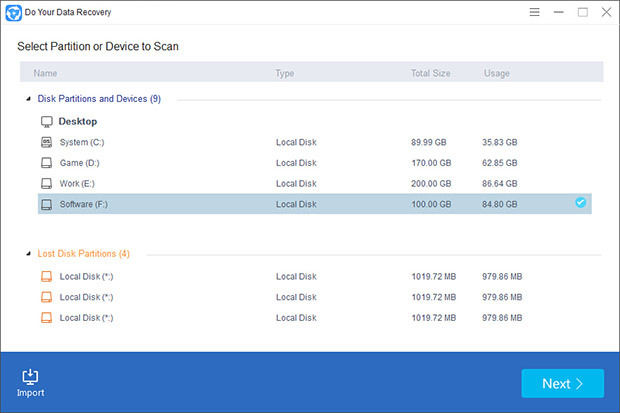 Find and recover recoverable deleted files from NTFS and FAT-formatted volumes, regardless of their type. It includes five data recovery modules: Undelete Recovery, Lost Partition Recovery, Damaged Partition Recovery, Digital Media Recovery and CD/DVD Recovery. It can recover permanently deleted files and folder, files and folders deleted by DOS commands. 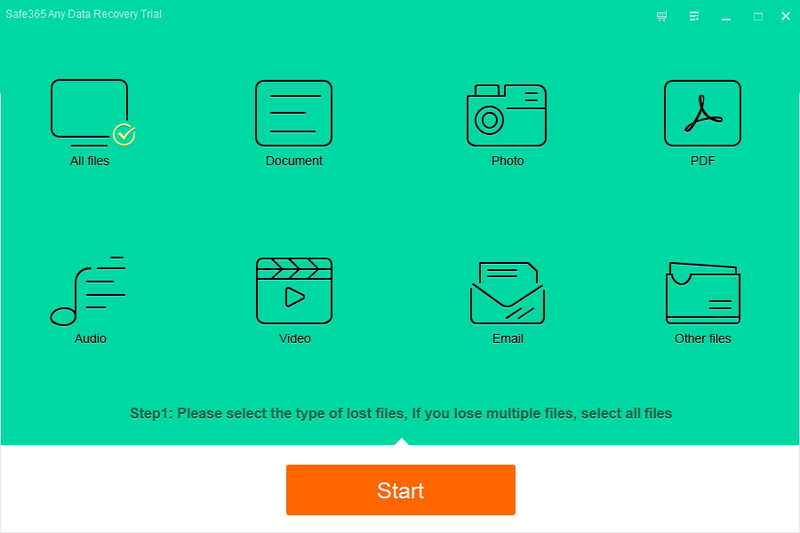 It lets you recover your deleted files easily. You can restore your deleted files easily with this freeware. You can use its search function to scan your drive for deleted files and it will show you the deleted files and you can choose them to restore. It is a free, easy to use and powerful data recovery software for Windows. 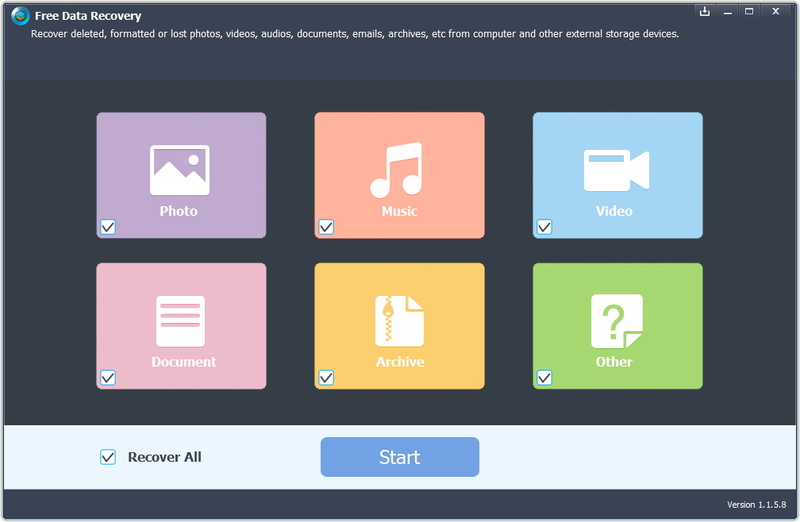 It lets you recover files and folders that have been deleted accidentally. It lets you to recover data from various types of devices but not free. You can recover files which were deleted intentionally or accidentally. Recover files deleted either intentionally or accidentally. It lets you to recover deleted data due to various reasons like accidentally, intentionally, formatted etc. A simple program which lets you recover digital images free. You can recover missing or deleted file by it easily. It has two modes wizard mode and manual mode. It supports various file systems and all the versions of Windows. A free software to recover deleted and lost files or partitions. It has very simple interface and is easy to use. No special knowledge is required to run it. A simple, free, and user friendly file recovery tool. You can scan any drive such as hard disk, USB drive, SD card, MMC, Flash card etc. for deleted files. It shows you the scan result of files and folders in a tree view. It can recover deleted, lost, damaged and formatted data from hard drive or partition. 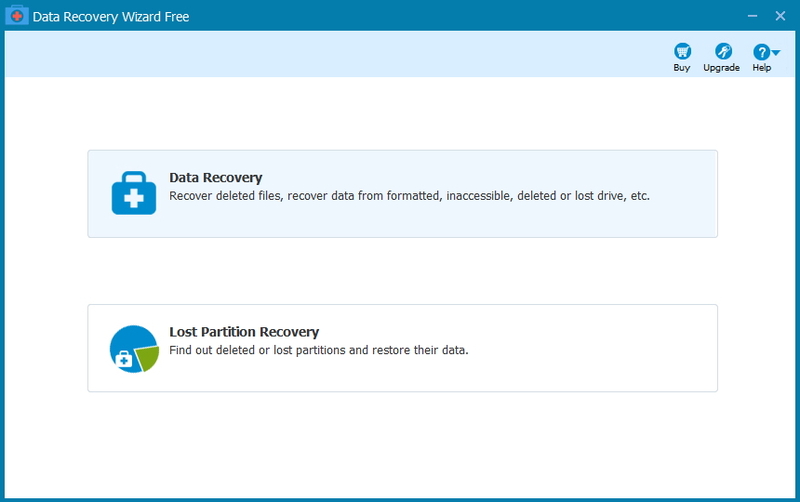 Recover lost data resulted from deletion, formatting, RAW drive, missing partition, virus, etc. It is a freeware Windows utility to restore files that have been accidentally deleted from your computer. 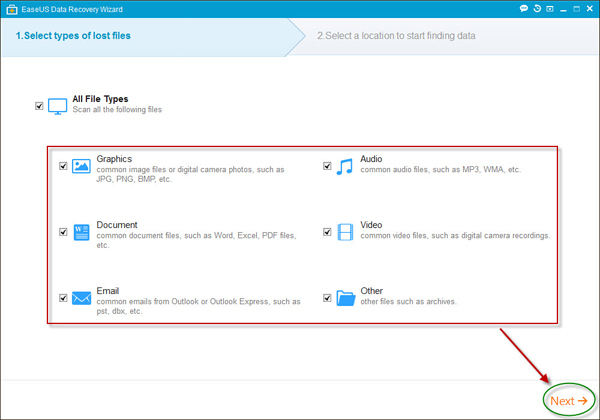 Recover deleted files or folders even when they have been emptied from Recycle Bin. It is a tiny Windows file recovery application that allows users to undelete lost files from their NTFS drives. It supports various file systems like FAT, FAT16, FAT32, NTFS etc. Recover deleted documents, pictures, audio files, videos, emails etc. from various types of disks. It was primarily designed to help recover lost partitions and/or make non-booting disks bootable again when these symptoms are caused by faulty software. Photo Recovery name) from digital camera memory. A freeware program by Brian Kato that restores deleted files no longer in the Recycle Bin. It provides the ability to effectively detect and recover files and disks lost due to accidental deletion, disk formatting, virus and other reasons. 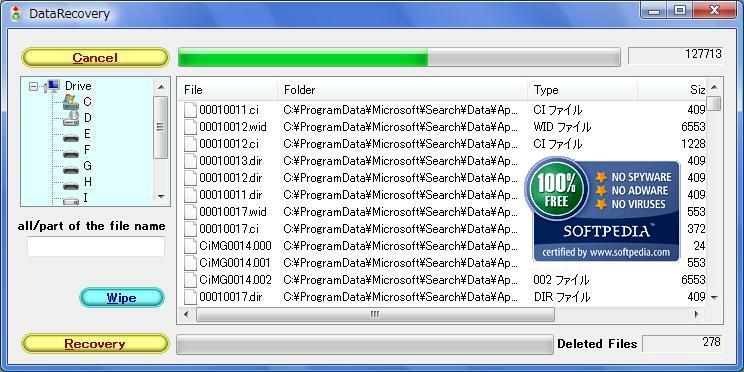 It is an extremely lightweight, portable, and very easy to use free data recovery program for Windows. It was developed for recovering damaged files from different disk types: CD, DVD,HD DVD, Blu-Ray, etc. Powerful & effective free data recovery software helps to recover deleted, formatted or lost files from hard drive or removable device easily and quickly.